ABU DHABI, 4th October, 2015 (WAM) - Mohammed Mir Abdullah Al Raisi, Under-Secretary of the Ministry of Foreign Affairs (MoFA), has received in his office at the ministry, a copy of the credentials of Hadi bin Nasser Mansour al-Hajri, Ambassador of the State of Qatar to the UAE. 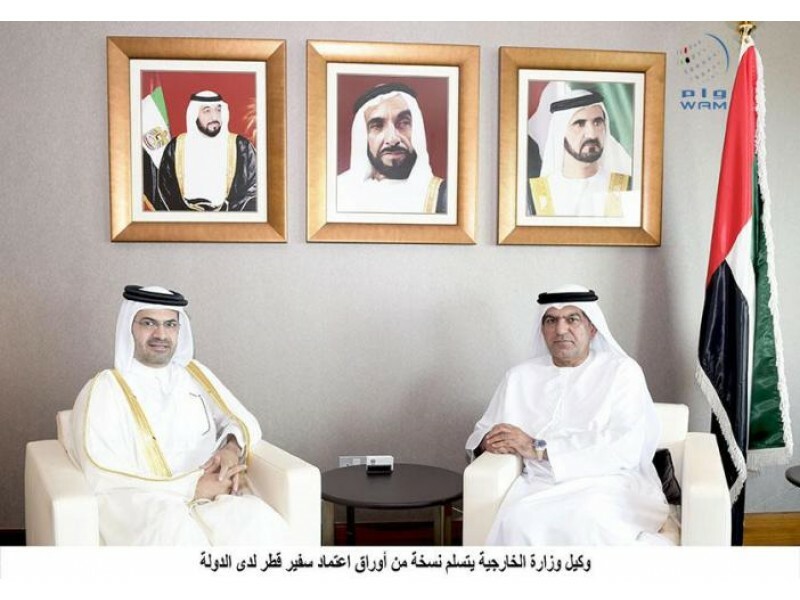 Al Raisi wished al-Hajri success in his efforts to boost co-operation between the UAE and Finland. The Qatari ambassador expressed his satisfaction at representing his country in the UAE, citing the prestigious regional and international status being enjoyed by the UAE, thanks to the wise policies of President His Highness Sheikh Khalifa bin Zayed Al Nahyan.